A stay at Barry House places you in the heart of London, within a 15-minute walk of Hyde Park and Kensington Gardens. This bed & breakfast is 0.7 mi (1.2 km) from Marble Arch and 1.9 mi (3 km) from Natural History Museum. Stay in one of 17 guestrooms featuring LCD televisions. Complimentary wireless Internet access is available to keep you connected. Private bathrooms have complimentary toiletries and hair dryers. 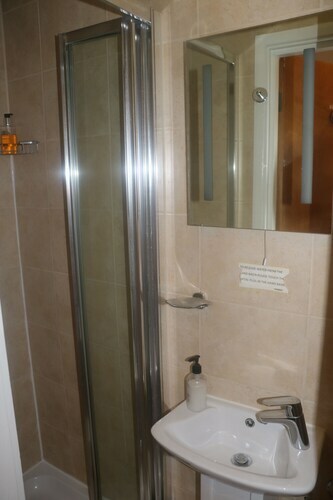 Conveniences include phones, as well as coffee/tea makers and portable fans. A complimentary continental breakfast is served daily from 7:30 AM to 9 AM.Make use of convenient amenities, which include complimentary wireless Internet access and concierge services.Pets not allowed Check-out time is 11 AMFeatured amenities include a 24-hour front desk, luggage storage, and a safe deposit box at the front desk.Extra-person charges may apply and vary depending on property policy.